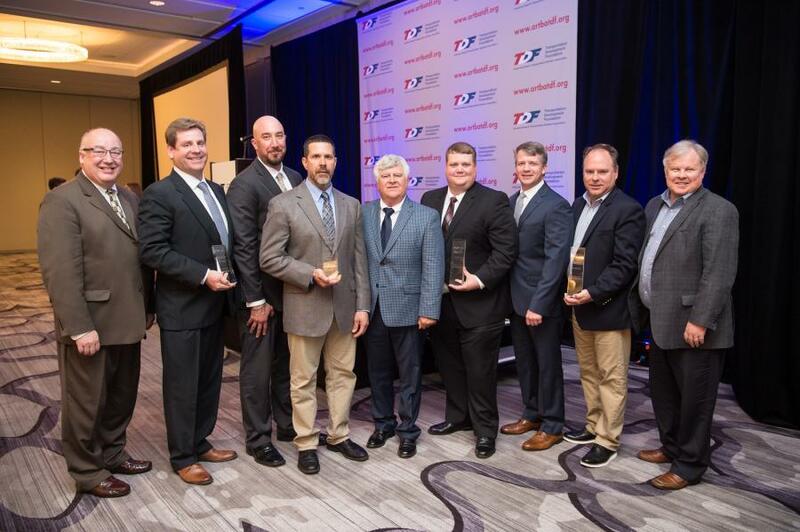 Transportation construction companies from four states were recognized for their outstanding corporate worker safety programs during the American Road & Transportation Builders Association's (ARTBA) Federal Issues Program in the Nation's Capital. The awards were presented during a May 15 luncheon hosted by ARTBA's Foundation. The annual “Contractor Safety Awards” were created to promote worker safety and health as core values of the transportation design and construction industry. Award winners demonstrated a low “OSHA Recordable Rate” as measured against benchmark metrics established by the Bureau of Labor Statistics. Finalists were selected based on their achievements, as evidenced by recordable rates below the industry average. Representatives from each company made presentations during a webinar to a panel of industry professionals. 500,000 to 1 Million Hours: First Place — W.W. Clyde & Co., Orem, Utah; Second Place — F.H. Paschen, Chicago, Ill.
More than 1 Million Hours: First Place – Tie — Granite Construction, Watsonville, Calif., and Barriere Construction Co., LLC, Metairie, La.